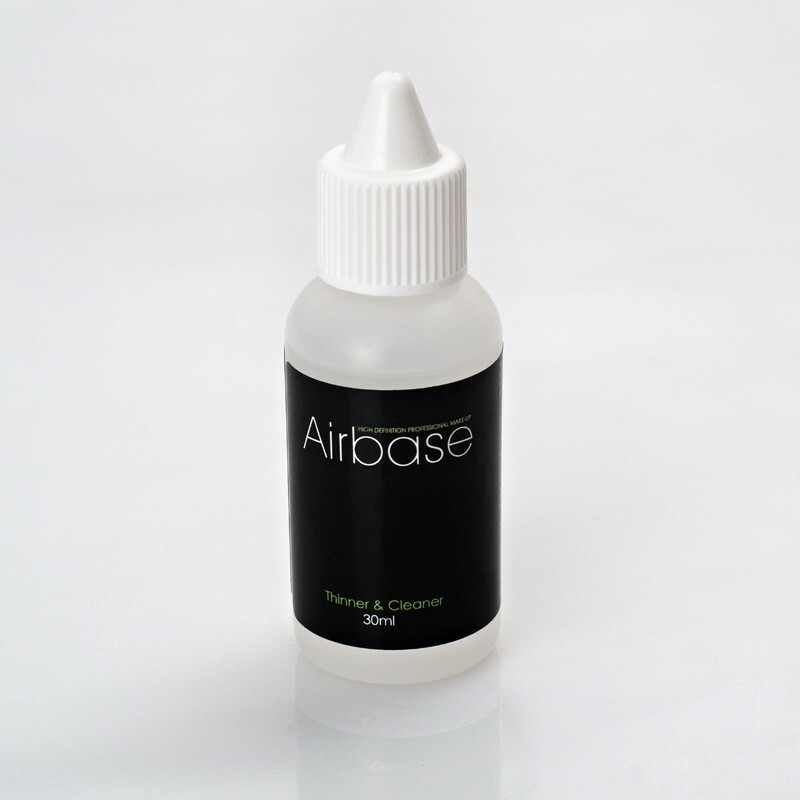 Airbrush Thinner & Cleaner is required to keep your Airbase Airbrush in tip-top condition for your next application. The cleaner prevents clogging of the airbrush gun, ensuring a flawless application every time. This dual-purpose product can be used as a thinner for use with the Airbase range of Foundations, Blushers and Bronze and is an essential in helping to keep your airbrush in perfect condition. After use flush your airbrush through with water. Fill the airbrush cup with Airbase Thinner & Cleaner and clean using a small brush. Spray the thinner and cleaner through the airbrush. Before using your airbrush again, flush through with clean, cold water. Top tip: Always leave a little Airbase cleaner in the airbrush. This will ensure the equipment stays clean and no residue dries. If required, add one or two drops of Airbase thinner to every 8 drops of Airbase Foundation, Blush or Bronze.